© 2019 Ballina Yoga. All rights reserved. My name is Lyn. Welcome to Ballina Yoga Studio. 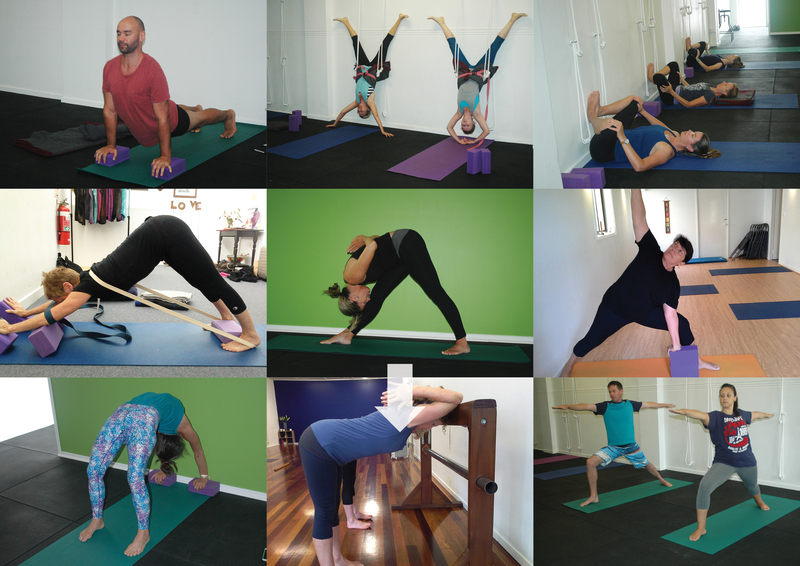 Ballina Yoga Studio is a modern, spacious, well-equipped dedicated yoga space located in the Ballina CBD at 182 River Street. ‘Asanas maintain the strength and health of the body, without which little progress can be made. Asanas keep the body in harmony with nature’. 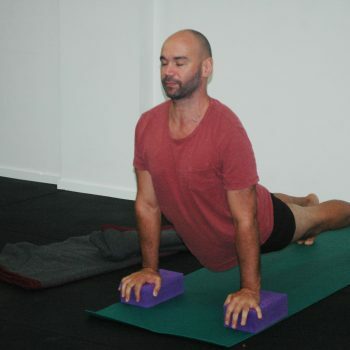 Ballina Yoga embraces the tradition of building a solid foundation of strength, flexibility, alignment and personal development. Yoga is known to have many benefits including reducing stress, depression, and the risk of major diseases. Some of the defining characteristics of yoga is the emphasis on precision and alignment, planned sequencing, timings in practice and the use of props. This approach has made it possible for people of all ages and physical ability to experience the benefits of a yoga practice. 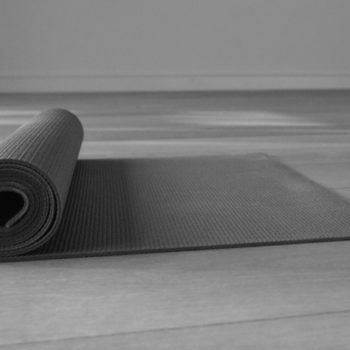 Ballina Yoga supports students at all stages of their yoga practice including beginners new to yoga. We have a range of classes including Beginners, General and LED Practice. Please contact us and let us know before you attend a class for the first time. 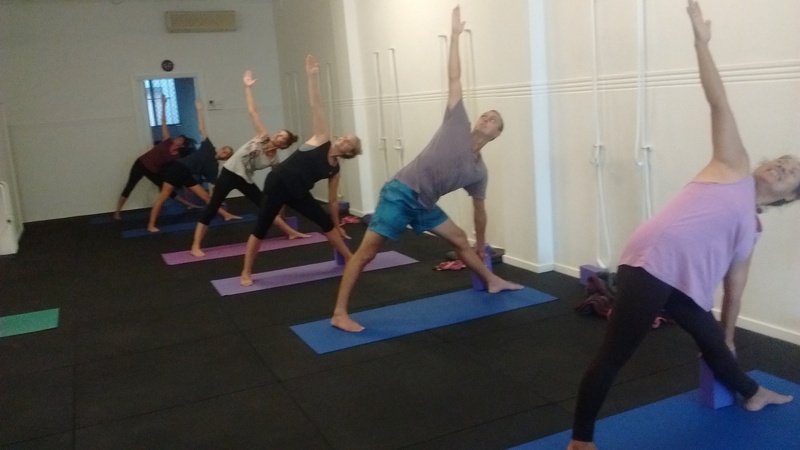 Beginner classes are designed for anyone who is either new to yoga or has had limited yoga experience. General classes build on the foundation poses from the beginners’ course providing more comprehensive instruction – moving into a pose, holding a pose and moving out of the pose. LED Practice. If you are an experienced student of yoga and feel confident you can handle a strong, physical yoga practice and know the asanas by their Sanskrit name, you might like to join us in a LED practice on Thursday mornings. Dynamic class is 60 minutes of a continuum of yoga poses joined together in a sequence by sun salutes (surya namaskar). Transition from pose to pose is swift with limited verbal instruction. Experienced classes. Students need a minimum of 1 year Iyengar Yoga experience. Classes include headstand and shoulderstand. If you have an injury or illness that may require individual attention, talk to us about our small classes or one-on-one sessions. Most people ask only from their body that it does not trouble them. Most people feel that they are healthy if they are not suffering from illness or pain, not aware of the imbalances that exist in their bodies and minds that ultimately will lead to disease. Yoga has a threefold impact on health. It keeps healthy people healthy, it inhibits the development of diseases, and it aids recovery from ill health. But diseases are not just a physical phenomenon. Anything that disturbs your spiritual life and practice is a disease and will manifest eventually in illness. Because most modern people have separated their minds from their bodies and their souls have been banished from their ordinary lives, they forget that the well-being of all three (body, mind, and spirit) are intimately entwined like the fibres of our muscles. Health begins with firmness in body, deepens to emotional stability, then leads to intellectual clarity, wisdom, and finally the unveiling of the soul. Indeed, health can be categorized in many ways. There is physical health, which we are all familiar with, but there is also moral health, mental health, intellectual health, and even the health of our consciousness, health of our conscience, and ultimately divine health. These are relative to and depend upon the stage of consciousness we are at….. But yogi never forgets that health must begin with the body. Your body is the child of the soul. You must nourish and train your child. Physical health is not a commodity to be bargained for. Nor can it be swallowed in the form of drugs and pills. It has to be earned through sweat. It is something that we must build up. You have to create within yourself the experience of beauty, liberation, and infinity. This is health. Healthy plants and trees yield abundant flowers and fruits. Similarly, from a healthy person, smiles and happiness shine forth like the rays of the sun. The practice of yoga asana for the sake of health, to keep fit, or to maintain flexibility is the external practice of yoga. While this is a legitimate place to begin, it is not the end. As one penetrates the inner body more deeply, one’s mind becomes immersed in the asana. The first external practice remains dry and peripheral, while the second more intense practice literally soaks the practitioner with sweat, making him wet enough to pursue the deeper effects of the asana. Do not underestimate the value of asana. Even in simple asanas, one is experiencing the three levels of the quest: the external quest, which brings firmness of the body; the internal quest, which brings steadiness of intelligence; and the innermost quest, which brings benevolence of spirit. While a beginner is not generally aware of these aspects while performing the asana, they are there. Often, we hear people saying that they remain active and light when they do just a little bit of asana practice. When a raw beginner experiences this state of wellbeing, it is not merely the external or anatomical effects of yoga. It is also about the internal physiological and psychological effects of the practice. 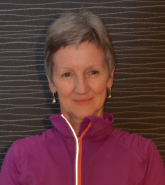 © 2016 Ballinga Yoga | Lyn Cole. All rights reserved.